UC DREC hosted the 2019 Agronomic Crops and Irrigation Water Management Field Day on April 11. 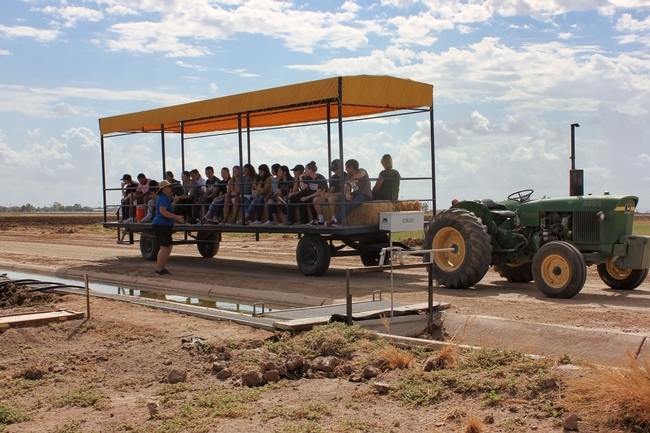 The field day was organized by UCCE Imperial County and included a hay wagon ride tour through field research projects and indoor presentations. 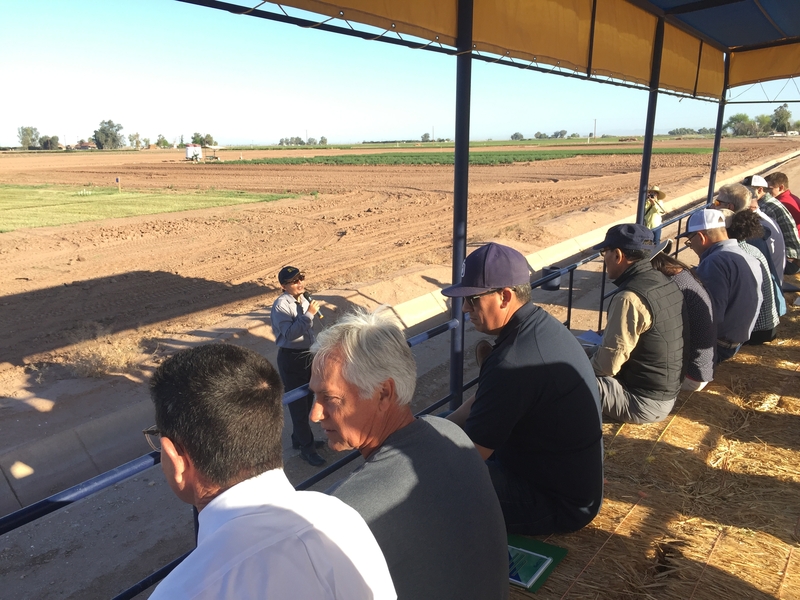 Researchers shared updates on various research projects including topics related to insect pest and disease management in sugarbeets, irrigation and nutrient management in fresh market onions, subsurface irrigation in alfalfa, alfalfa variety trials, biochar effects on soil remediation, wheat quality and yields, and quinoa trials. 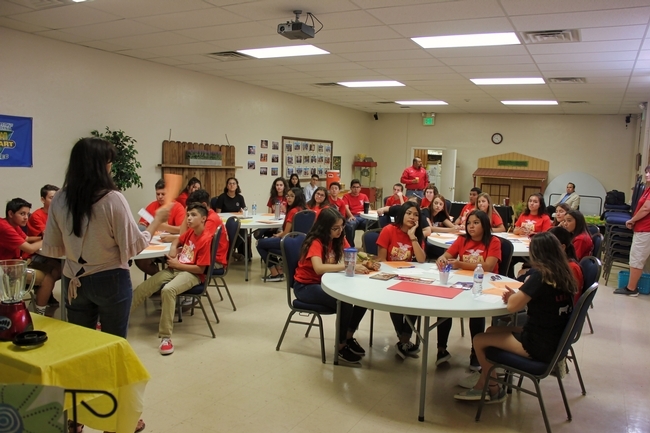 The event was a success with 53 participants registered. 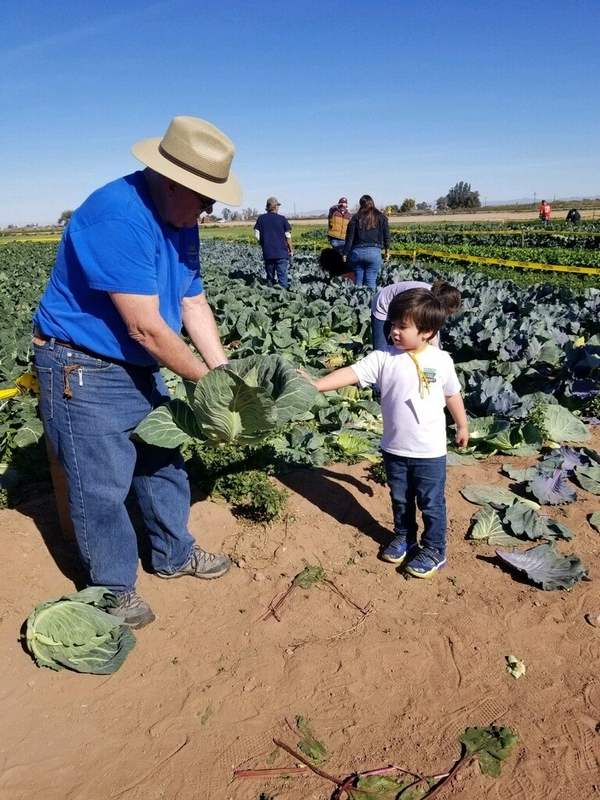 Tom Brundy, Imperial County Farm Bureau President, provided opening remarks. 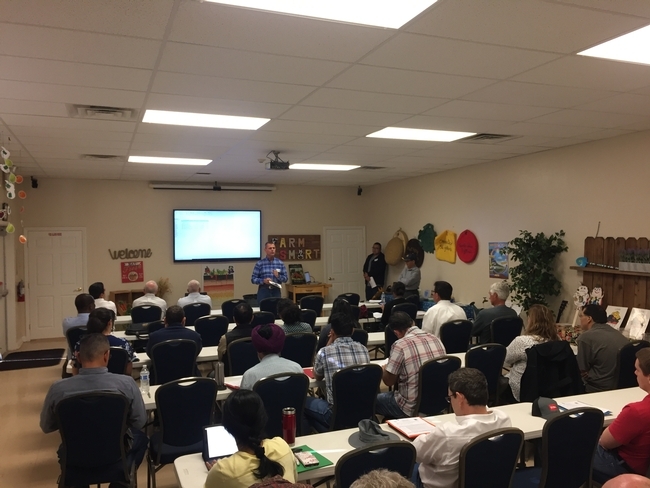 DREC is partnering with a USDA program entitled: Water Resources Experiential Learning for USDA Careers. 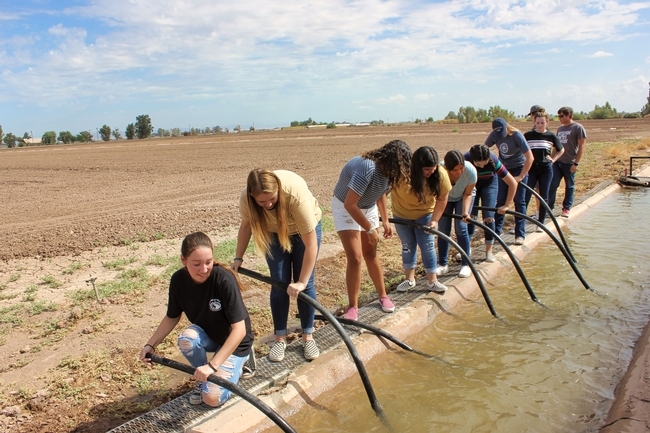 The strategic goal of this project is to measurably increase student research skills that ensure our national forests and private working lands are conserved, restored, and made more resilient to climate change, while simultaneously enhancing the sustainability of the Nation's water resources. 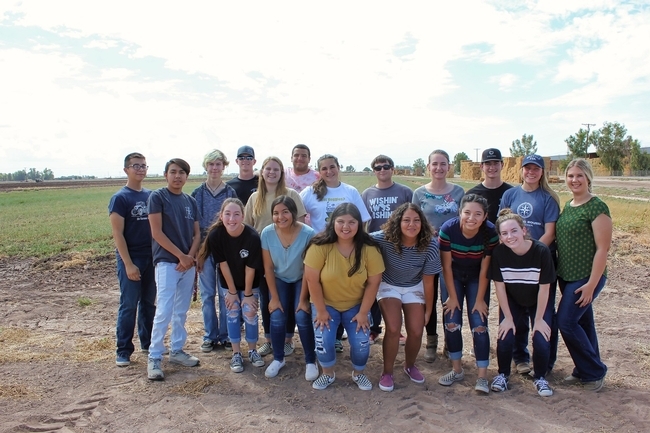 The internships provide an experiential approach to learning in the field of water resources and/or watershed management which helps students gain real-world experience in natural resource protection while developing new knowledge, skills, and abilities in problem-solving from a watershed perspective. Mariana Gonzalez is currently interning at DREC. She is in her third year at San Diego State University-Imperial Valley Campus. She is working toward a bachelor's degree in mathematics with a minor in public administration. 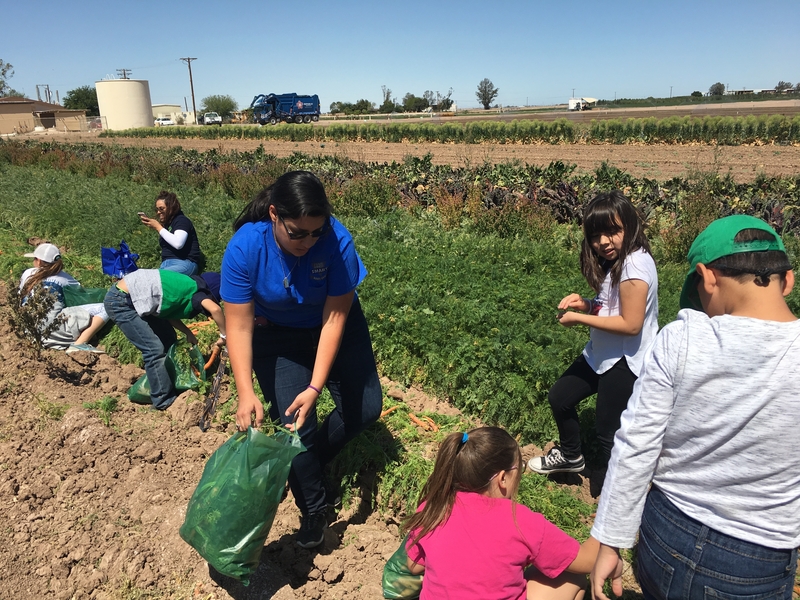 During the internship, Mariana says she hopes to increase her overall knowledge in agricultural processes. She hopes to gain a deep understanding of agricultural research and its impacts. 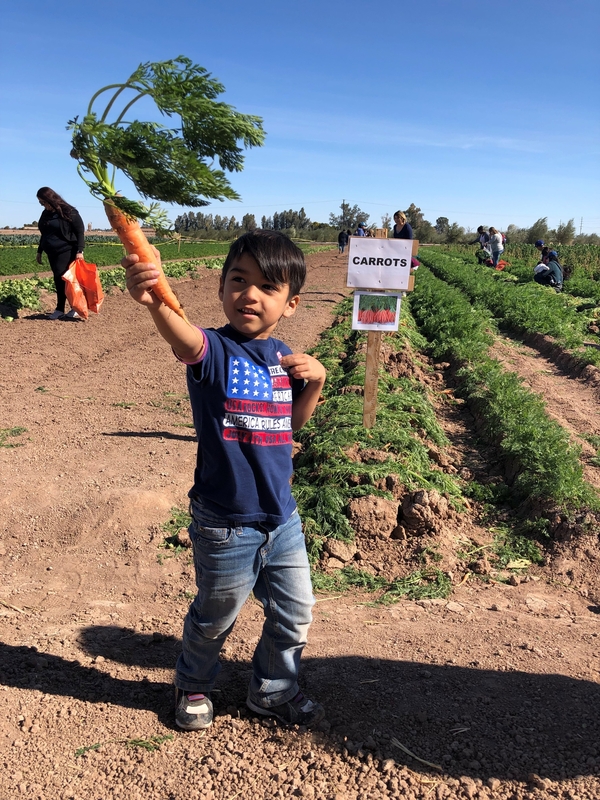 Mariana will be working with DREC's Farm Smart program and feels this will give her experience in working with K-12 students and developing K-12 curriculum. In all its programs, Farm Smart teaches about water, weather, sustainability and other natural resources. 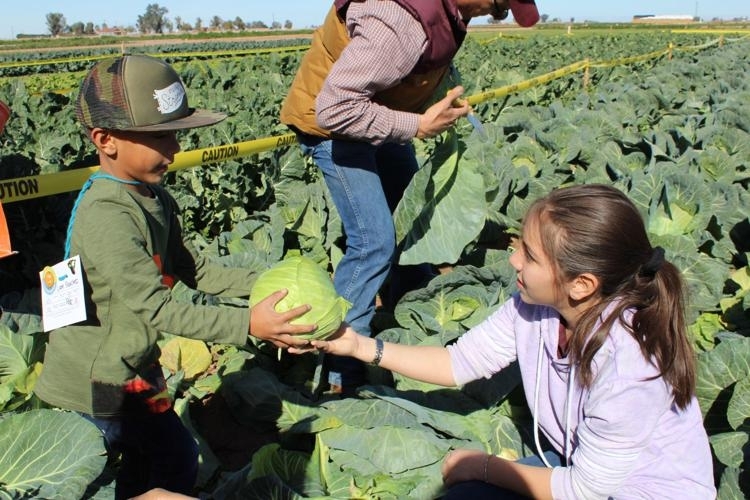 Through her duties in the Farm Smart program, Mariana will have the opportunity to help students develop an understanding of water and water resources through STEM activities. DREC staff will be working with Mariana to develop a capstone project that is multifaceted and serves as a culminating experience during the internship. As she explores her chosen topic in the area of water resources and management, she will be challenged to think critically and apply investigative skills. Mariana helping kids with produce picked at the Farm Smart U-pick up garden. 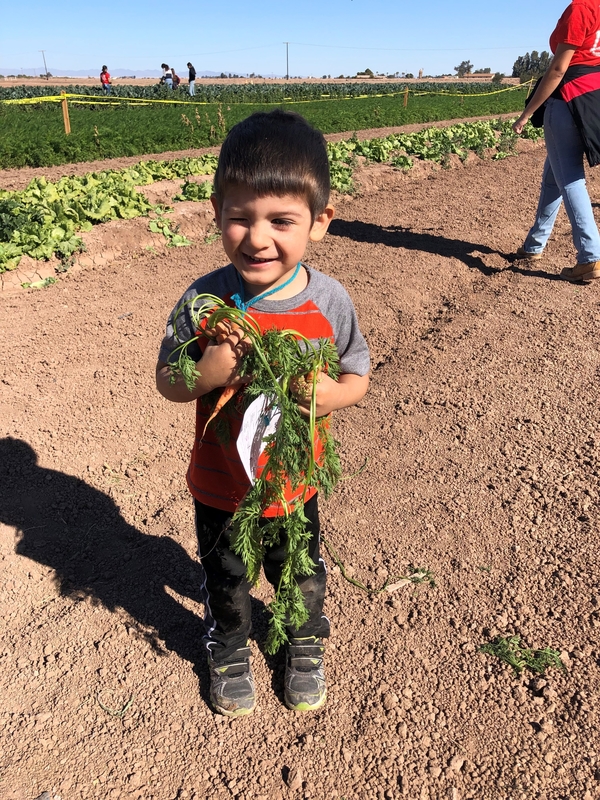 With over 700 participants, 100 volunteers, and 19 organizations involved, the Farm-to-Preschool Festival was a huge success! Nearly 125 local high school FFA students from Calexico, Imperial, Southwest, Holtville and Brawley high schools visited Farm Smart, located at the University of California Desert Research and Extension Center (UC DREC), in September for the first annual AgVenture Field Day. 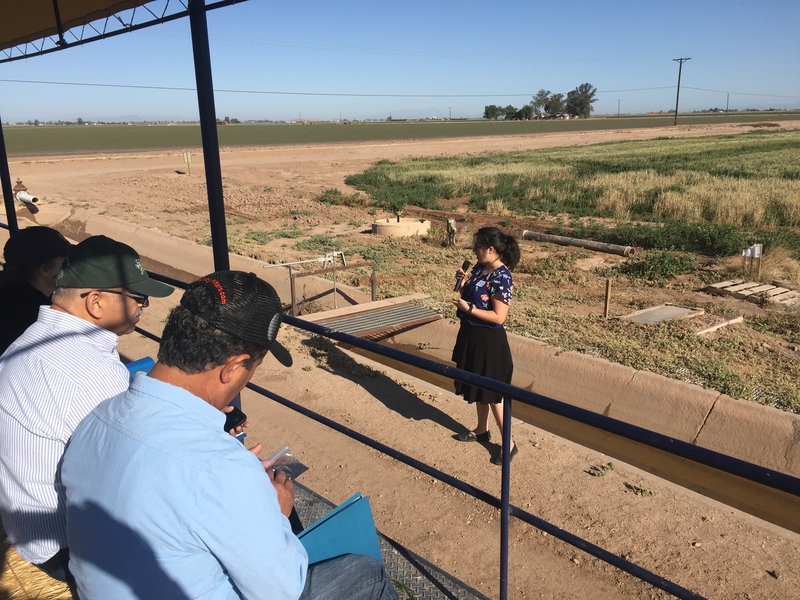 The program was funded by the United States Department of Agriculture (USDA) through the work of Roberto Gonzalez, USDA Office of Advocacy and Outreach Hispanic-Serving Institutions National Program Region Director for Southern California and AZ. 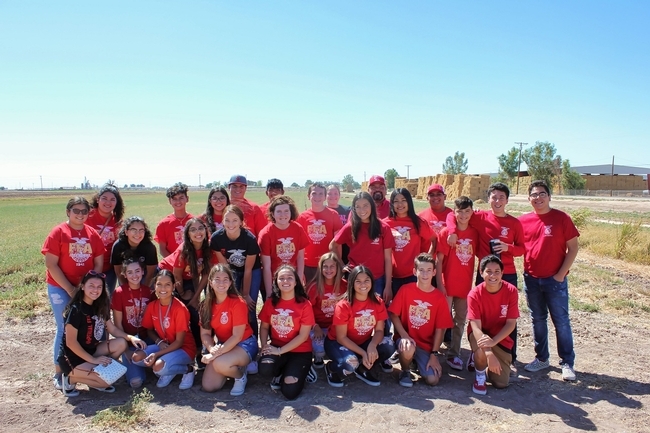 Presenters from the University of Arizona(UA)- Yuma, USDA Farm Service Agency (FSA), and the University of California Farm Smart exposed the students to potential careers in agricultural, opportunities for camps and internships, and availability of agricultural project loans. 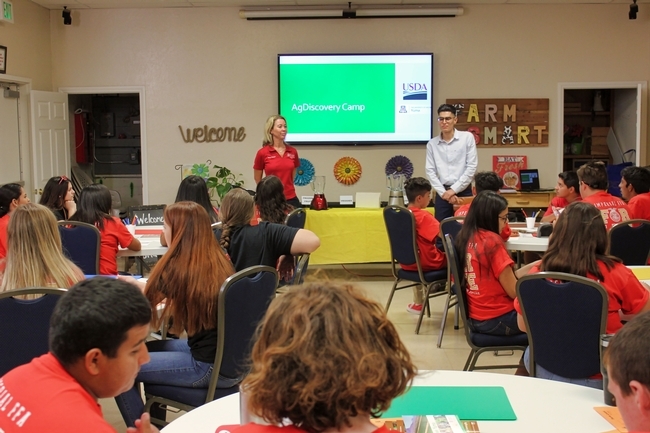 Tanya Hodges, Academic Programs Coordinator at UA-Yuma, and Beleshka Brenes, Director of Agriculture Programs at UA-Yuma, highlighted the USDA AgDiscovery program, a two-week summer camp for high school students interested in an agricultural career. 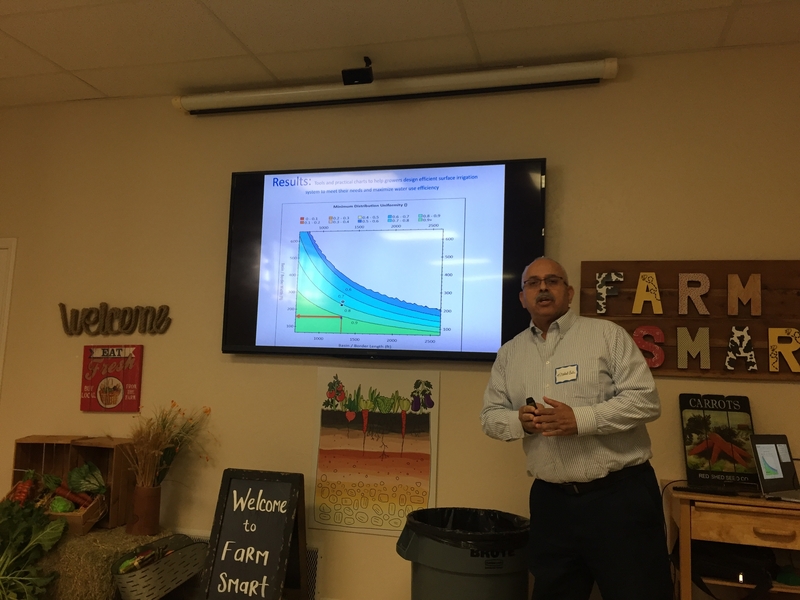 UA-Yuma student and AgDiscovery intern, Armando Baranda, shared his experiences as a transfer student from Imperial Valley's junior college, Imperial Valley College(IVC), and his experience as an intern for the AgDiscovery program. Students participants also learned about the different opportunities within the USDA. 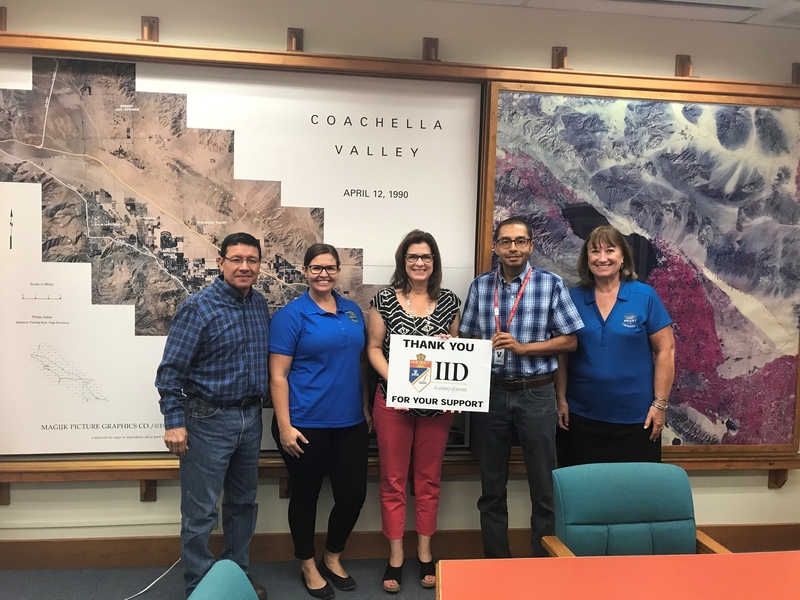 Rosa Singh, Executive Director of the USDA-FSA in Imperial County, Rogelio Araujo, Program Technician for USDA-FSA, and Marina Arballo, Program Technician for USDA-FSA, offered information about USDA youth loans for agricultural projects including fair animals and the internship opportunities within USDA. Students then boarded hay wagons and were given a tour of UC DREC, including the research plots, feedlot, irrigation projects, information on Imperial County agriculture, and the top 10 commodities. 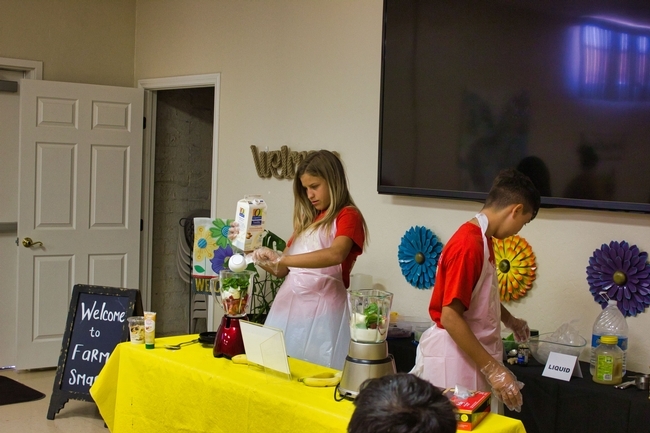 Students finished the tour with honey tasting, colored carrot research and colored carrot tasting, and a nutrition lesson featuring smoothies and shaker salads. 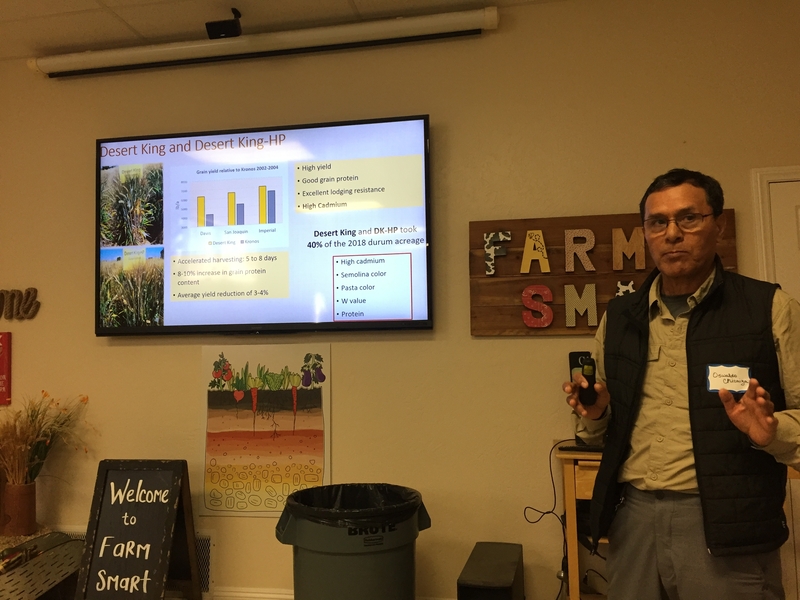 Farm Smart staff and the UCANR Director, Jairo Diaz, sat down with long-term partners from the Imperial Irrigation Dirstrict (IID), Mike Pacheco and Tina Shields. 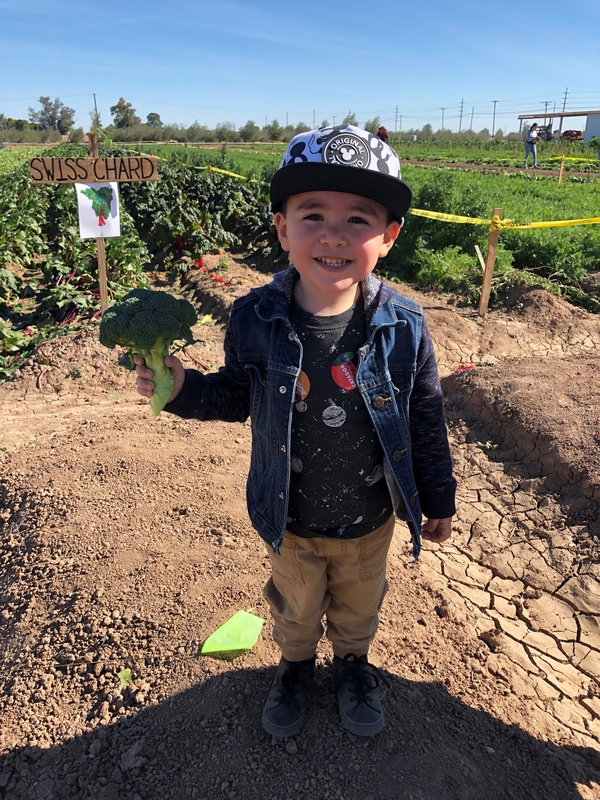 This partnership has been fundamental to increase agriculture, STEM, and environmental literacy for California-Mexico-Arizona boarder citizens and visitors from around the world.